The moment guests step into the Beach Rotana Hotel & Towers, they are embraced by the unique blend of traditional, Arabian hospitality and the breathtaking opulence of modern luxury. 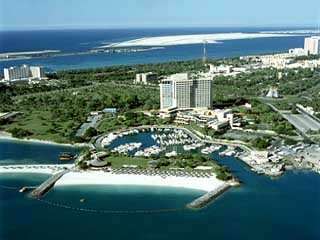 Ideally located in the heart of the capital's business and shopping districts, the Beach Rotana Hotel & Towers is set on its own stretch of pristine white beach in the Tourist Club Area on the shores of the Arabian Sea in Abu Dhabi - the capital of the United Emirates. 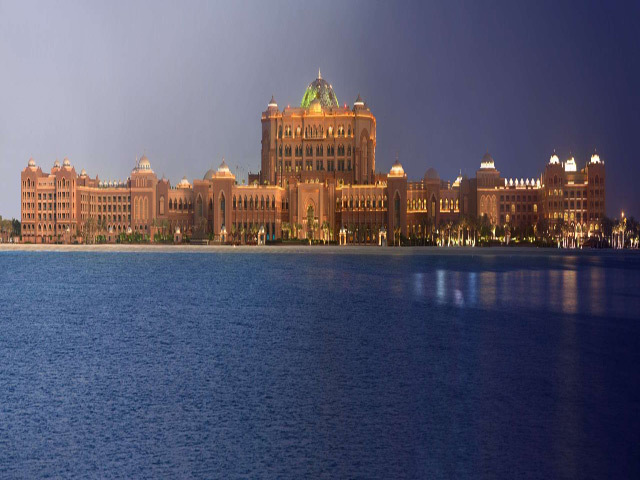 Just 30 minutes away from the Abu Dhabi International Airport and 90 minutes from Dubai International Airport . 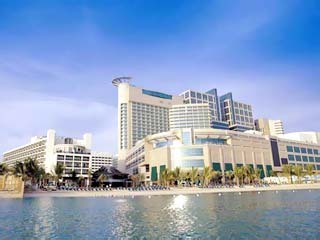 Home to the prestigious Abu Dhabi Trade Centre complex, the hotel is directly linked by an exclusive passageway to the over one million square feet Abu Dhabi Mall - the capital's most renowned shopping mall, which houses international brands, a 9-screen Cineplex and entertainment venues. Intimate corridors usher you into 413 Guest Rooms including 11 Executive Suites, one Royal Suite, and Presidential Suite with unmatched luxuries. Each choice of accommodation has been designed and furnished with the most discerning guest in mind. 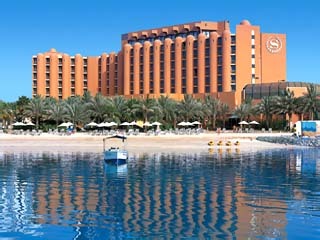 The Beach Rotana Hotel & Towers is linked by an exclusive passageway to the over 1 million square feet Abu Dhabi Mall – the capital’s most prestigious shopping mall which houses international brands, a 9-screen Cineplex, entertainment venues and several food courts. Luxurious accommodation coupled with sophisticated meeting facilities and personalized service await the discerning executive traveller. 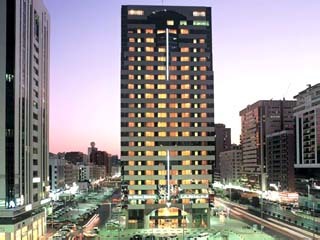 Club Rotana is made up of six dedicated executive floors with 75 Club Rotana rooms and suites. Club Rotana provides business travellers with exclusive privileges, while offering a high level of personalised services and care. There are many recreational diversions, both on-site and nearby, to keep guests active and entertained. Among them are the new, private Beach Club and the health and fitness club, Bodylines. Prego’s: Sample the taste of Italian specialties and wines at Prego’s Italian restaurant & terrace. Open from 12:00 to 00:00. Rodeo Grill: A sophisticated and elegant setting that gives the steak house dining experience a new level. Serving the best steaks in Abu Dhabi in a perfect atmosphere. Open from 12:00 to 15:30 and from 19:00 to 23:30. Brauhaus Restaurant & Terrace: Enjoy mouth-watering traditional German specialties. Open from 12:00 till late hours. Rosebuds Restaurant & Terrace: Lunch and dinner buffet daily along with a wide selection of continental cuisine from a la Carte menu. Open from 06:00 to 23:00. Cafe Columbia: For light refreshments and delicious pastries with live entertainment. Open from 08:00 to 00:00. The L.A.B. : A fusion of the classic bar and hip night venue. The moment you walk-in its unique ambience will make you want to settle down. Groove to the fantastic selection of tunes played by our new DJ Paul Madness. Walk out to the terrace and feel the breeze or catch up on good times at the buzzing bar.